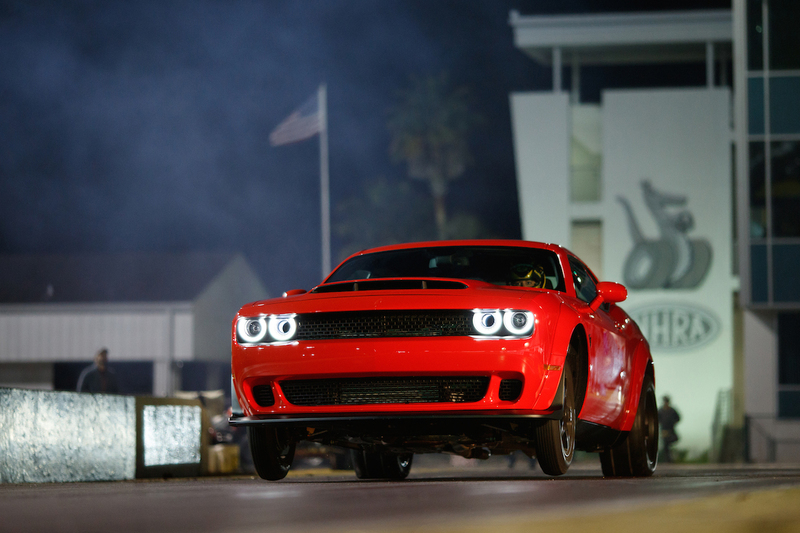 It turns out we didn’t dream it, and Dodge really did release the most-powerful muscle car ever early this morning. Now that it’s actually sunk in, what does the SRT Demon actually deliver? Forgive us if our post this morning was a little short on detail. In our defence, it was almost 2am, and we had endured Dodge’s live streaming buildup to the big reveal of the SRT Demon. 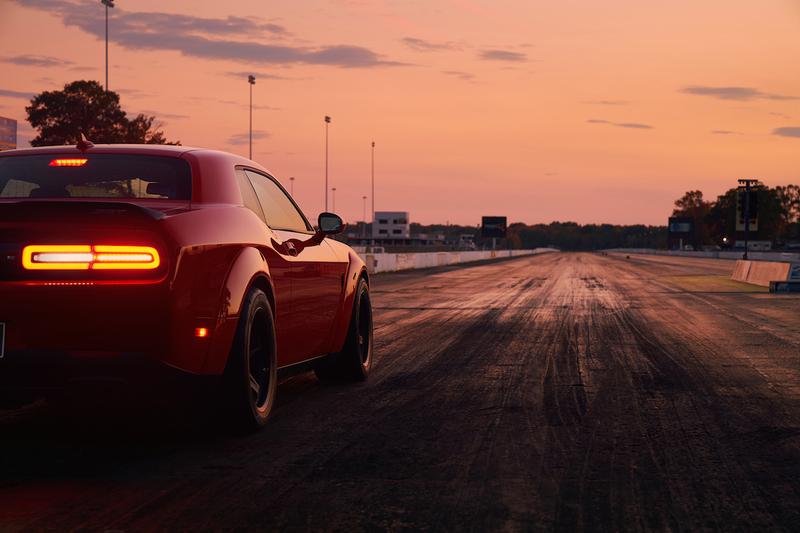 Dodge had a lot to deliver on here, having released teaser videos and trailers for weeks, culminating in the final unveiling last night. Vin Diesel was there. So was Wiz Khalifa. We’re not sure anybody really cared about them, other than Dodge promoting how big their muscle car brand is. That last one is the kicker. The SRT Demon is, for all intents and purposes, a road-legal dragster. It can be driven to the strip, optimised with the included ‘Demon Crate’ of goodies, used to set crazy times, and then driven home. This goes far beyond even the Charger and Challenger SRT Hellcat models, in essentially creating what is a race car for the road. 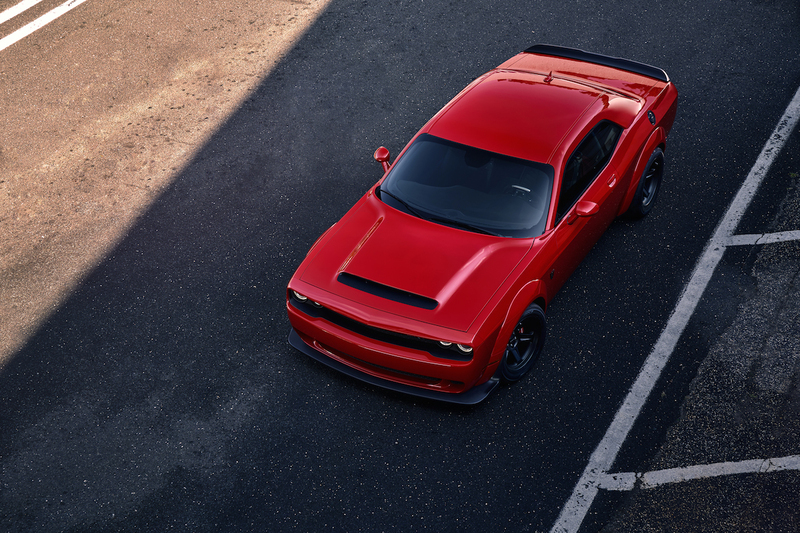 Dodge is also keen to point out that this isn’t just a modified version of the Hellcat, and that the Demon had undergone extensive modifications. 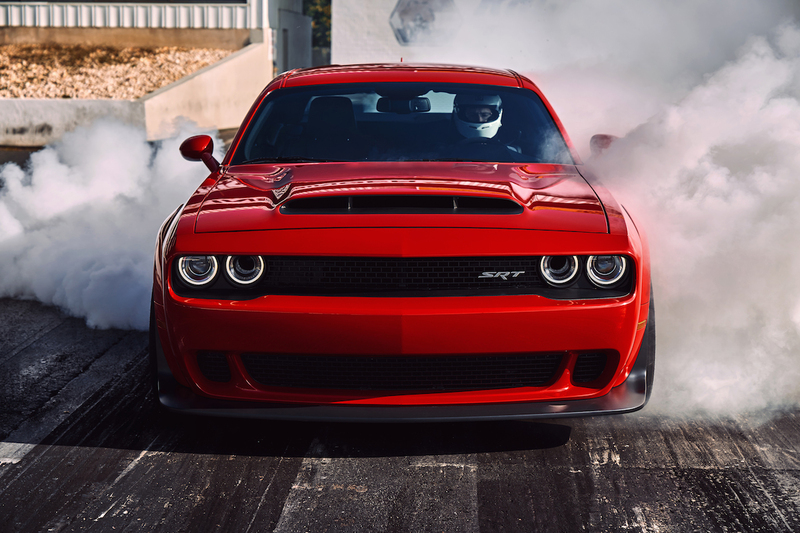 Although it may use the 6.2-litre supercharged V8 as found in the Hellcat models, the additional 133hp and 120lb-ft of torque (taking the total to 770lb-ft) come via a number of upgrades. The supercharger is bigger and runs more boost, whilst the V8 revs higher to a 6,500rpm limit. It also features two fuel pumps, and air intakes galore – with one in the bonnet, one in the wheel arch, and one in the headlight. The Hemi engine is setup to run on 101-octane fuel, which will in part be responsible for that headline 840hp figure. Perhaps our favourite feature is the ‘Power-Chiller’ system, which circulates refrigerant from the interior air-conditioning to cool the supercharger. It also continues to run once the car has been turned off to minimise heat soak from the colossal motor. This clearly is more than just a Hellcat with the wick turned up. 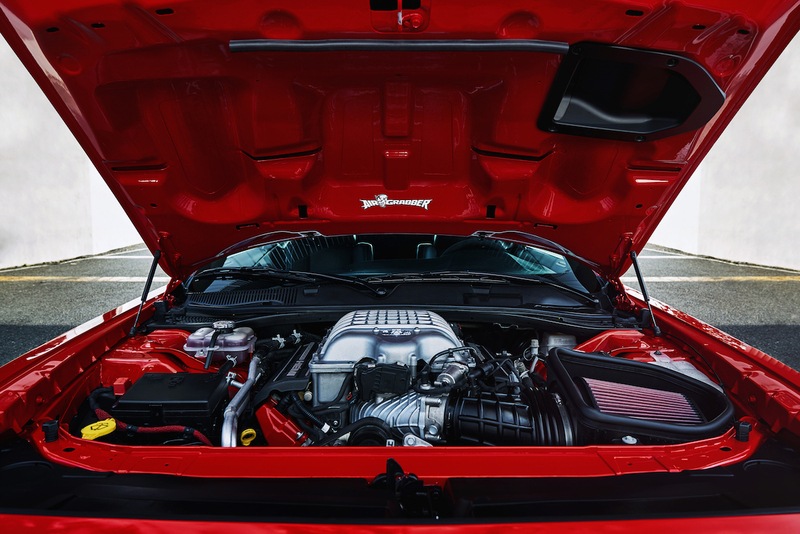 An eight-speed paddle-shift automatic gearbox is standard, having already seen service in the Hellcat twins. However it gains a TransBrake feature, which holds the car in place for fast launches. 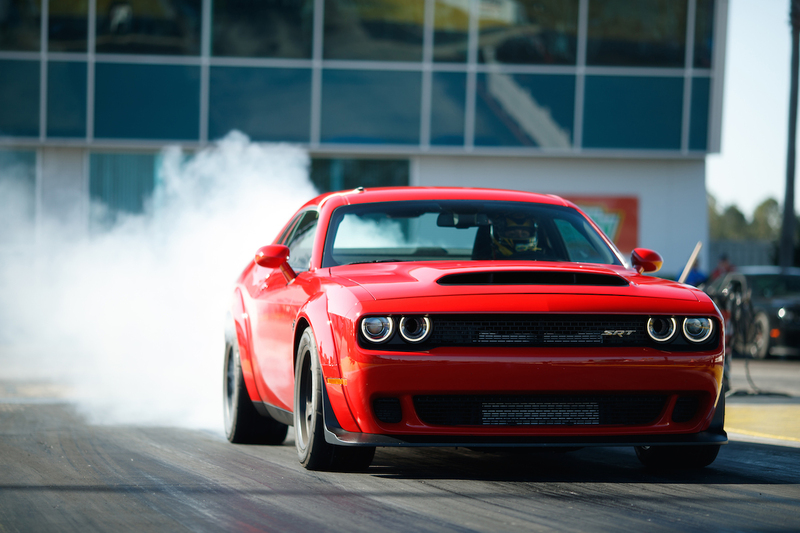 According to Dodge, this delivers 15% more torque from a standing start. The Demon also features launch assist, which detects wheel hop and reduces torque accordingly, allowing the driver to keep the throttle pedal wide open. Oh, and there’s Torque Reserve – building boost from the supercharger to ensure maximum acceleration off the line. All of this is said to improve quarter-mile times by a tenth of a second – a small amount of time which matters in drag racing. 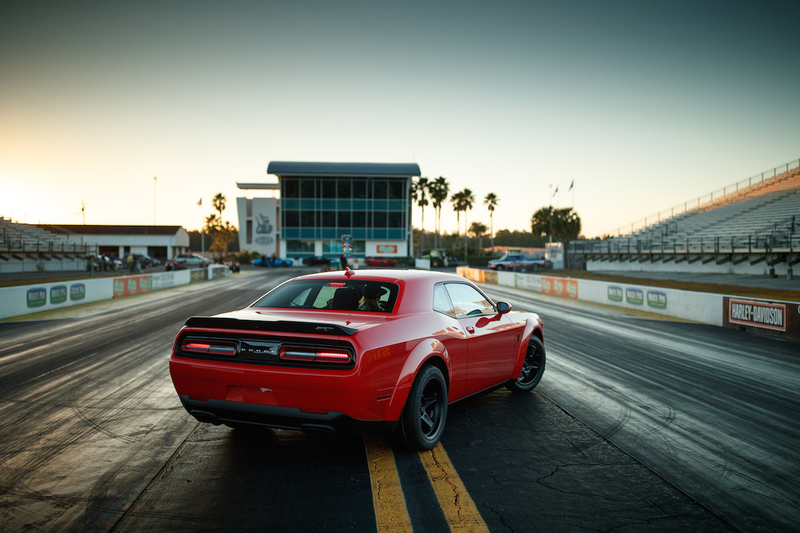 Although where you might actually race your SRT Demon is another matter. The National Hot Rod Association certified the 9.65 second quarter-mile time, and then promptly banned the Demon from competition use for being too fast. It may sound like a Donald Trump-esque boast, but the SRT Demon is technically prevented from competing because it is too good. The NHRA requires any street-legal car built after 2008, and capable of doing a standing quarter in 10.00 seconds or less, to have a certified roll full cage. Something the Demon does not have, and would probably damage it’s street car usability by having. The Demon also doesn’t have any passengers seats as standard from the factory, with only the driver’s chair provided. Front and rear passengers seats can be added for just $1, depending on how serious you are about terrifying friends and family. Their removal is part of the 90kg diet that the Demon has been placed on with sound deadening, stereo speakers, and parking sensors ditched in the pursuit of lightness. Even the anti-roll bars have been swapped to lighter hollow designs, as part of suspension changes designed – unsurprisingly – to help out at the drag strip. Suspensions settings are actually softer than the Hellcat, intended to maximise weight being shifted to the rear on acceleration. Our favourite part is the inclusion of a Drag Mode which sets the adaptive dampers, and other systems, for straight line runs. Once the run is over, the car returns to regular damper mode, whilst the traction control kicks back in having been disabled to allow giant burnouts. At vast 315/40R18 rear size, the Nitto drag radial tyres have been made specifically for the Demon, allowing it to run hot times at the track but also stay within the realms of legality on the road. They add 3.5-inches in width to the Demon, resulting in the beautifully-shaped wheel arch extensions. 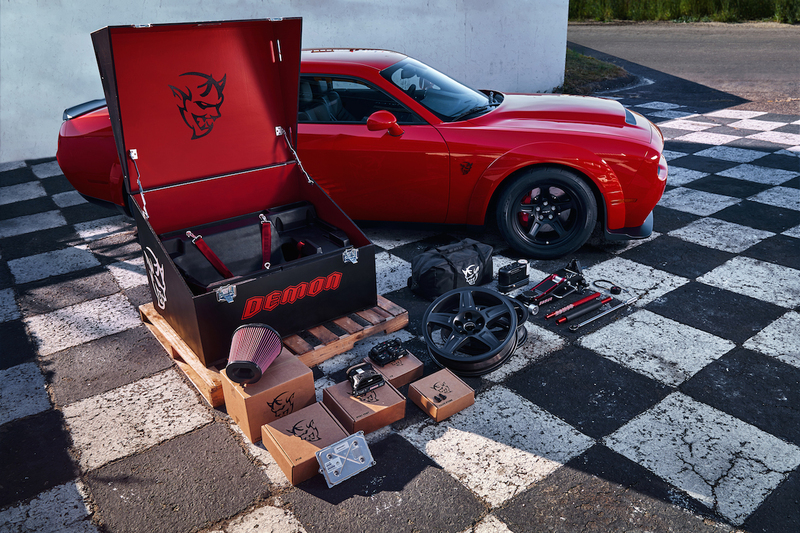 Lightweight drag racing 18″ alloy wheels come from the factory, with a pair of skinny front wheels included as part of the Demon Crate package supplied to each buyer. Along with the special wheels, buyers gain specially branded tools and jack, a blanking plate for the passenger wing mirror, a conical air filter, and a replacement switch to activate the high octane engine mode. The Demon Crate will also feature the name of the original owner, and we can imagine there being quite a lot of demand for the 3,300 cars set to be offered. All buyers get a one-day high performance driver training session, presumably to stop them destroying themselves or the Demon the first time they get behind the wheel. A three-year/36,000-mile warranty comes as standard, with coverage of the powertain extended to five-years/60,000-miles. That blows our mind ever so slightly, knowing that this 840hp lunatic has the same warranty as a Grand Caravan or Journey when it comes to the engine. No pricing information has been released yet, although we do at least know the SRT Demon can be had in our most beloved of colours – Go Mango. Other Mopar favourites like Plum Crazy and TorRed are included in the 14 colour choices. But make sure you buy it in orange, thanks. We have no doubt that there are many who would be willing to dismiss the Demon for the fact it’s only quick in a straight line. The press release for the Demon makes very little reference to braking and turning. This is a dragster, after all. So is this any different to Porsche building the 911 GT3 RS to perform on track? 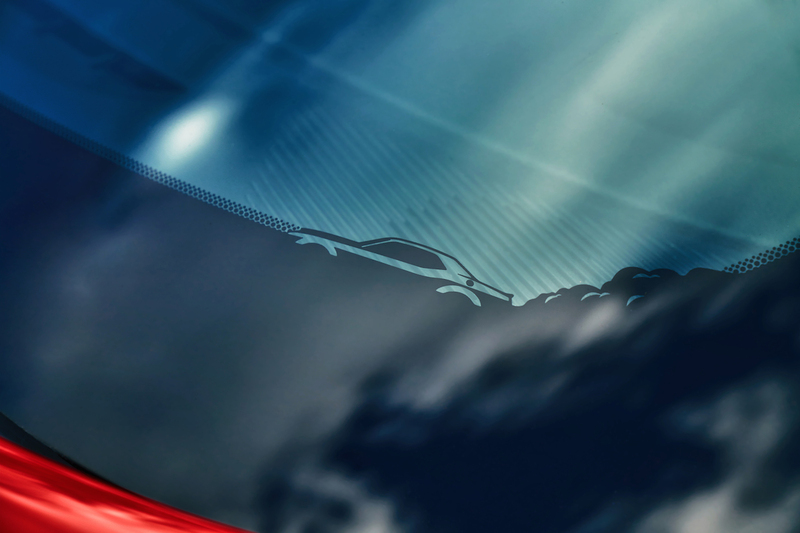 To the countless hot hatches we have seen created to set impressive Nürburgring lap times? No, it’s one and the same. 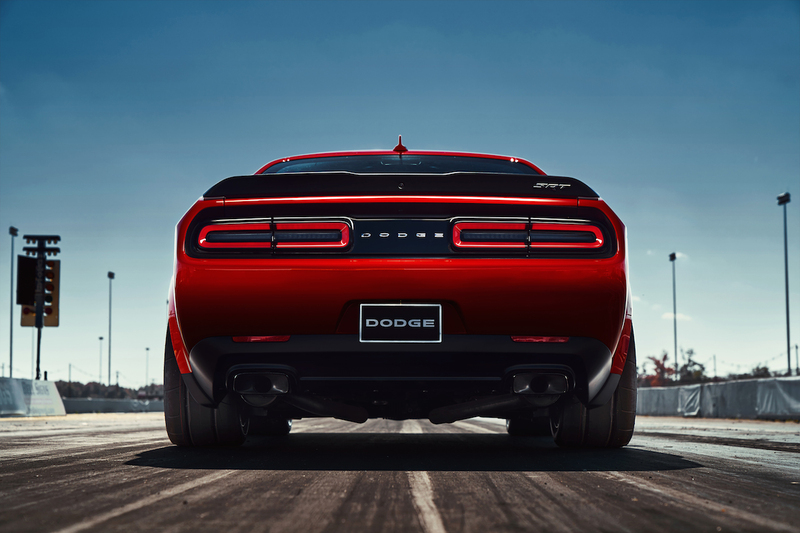 Dodge has just tapped into a particular niche and a culture that it knows, and has delivered a devastatingly effective machine which fans will love. 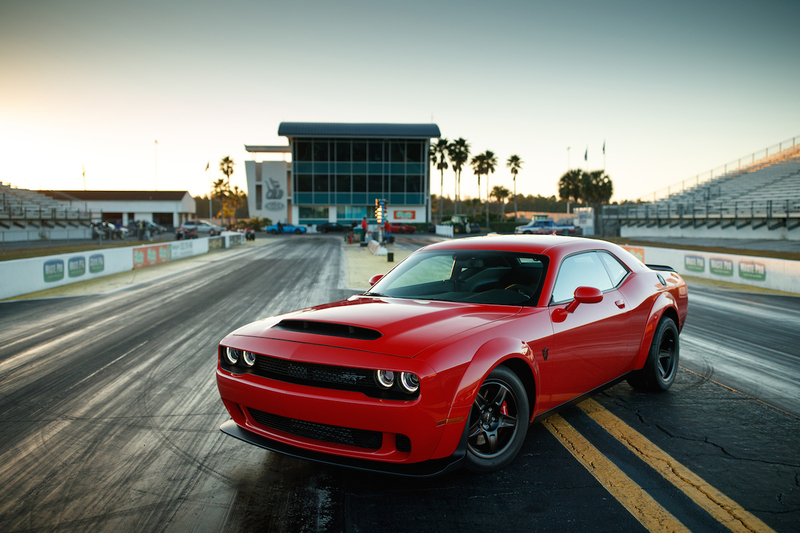 Nobody needs an SRT Demon, in the same way the world didn’t need the SRT Hellcat. But we’re glad it exists, and that Dodge is brave – or crazy – enough to build it to please enthusiasts. It won’t change the world of performance motoring, with an appeal limited to a relatively narrow enthusiast spectrum globally. But this is an American brand putting America first, and pursuing its own interests. There’s a guy somewhere who might like that mantra. Yup. It really does, Richard. Get you some of that.